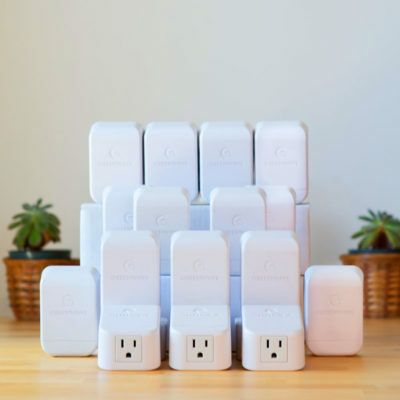 Clean up dirty electricity throughout your 3-bedroom home with this Greenwave filter kit. Kit includes 16 Greenwave filters, enough for approximately 7 to 8 rooms total. The filters come with 3-prong, grounded plugs unless you request our 2-prong alternative. They include a built-in outlet at their base for plug-through convenience, and are UL certified (AC 120V, 15A) and RoHS compliant. 3-Prong The Spectrum 2500i is the standard filter sold by Greenwave for the U.S. and Canada. 2-Prong The Broadband 1500 is available for customers in the U.S. and Canada who need filters with a 2-prong plug. 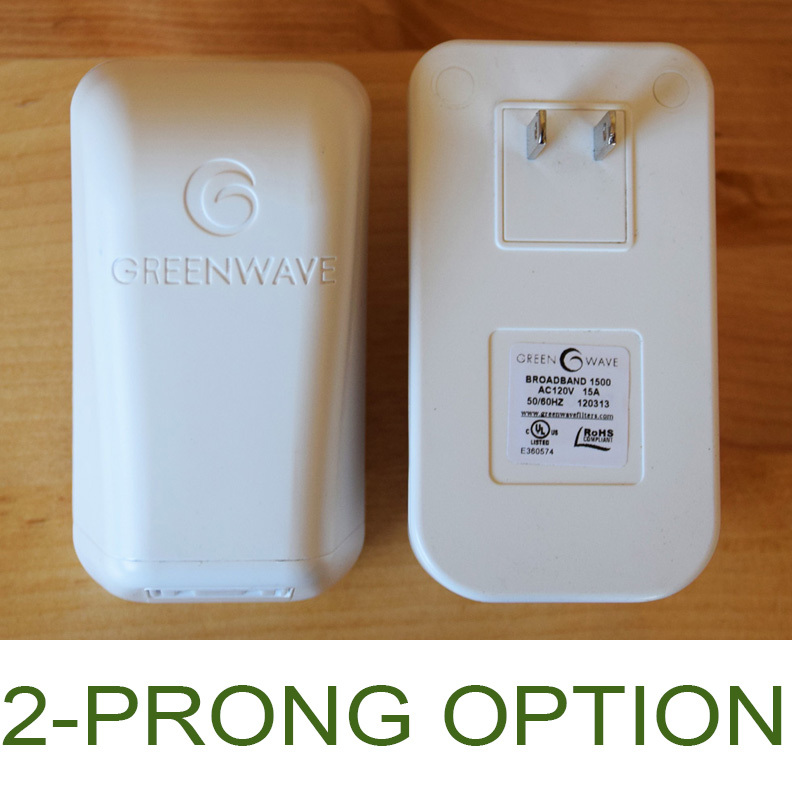 Greenwave filters significantly reduce the amount of DIRTY ELECTRICITY (a.k.a., electrical noise, line noise, EMI) present on the wiring in buildings. This is the most direct, effective, and practical way to clean up this type of electro-pollution. The less dirty electricity there is flowing along building wires, the less that will radiate into your environment. The filters plug directly into electrical outlets and power strips. They deploy state-of- the-art EMI filtering technology to “short out” (or shunt) erratic surges and spikes of electrical energy (i.e., dirty electricity), while allowing standard electricity to pass through the filters unimpeded. For best results, we recommend installing Greenwave filters throughout your environment. The number of filters needed will depend on the size of the building or space where you want to install them (e.g., # of rooms) and on the concentration of electronics, appliances, energy-efficient lights, and other electrical devices in each room. Here are some general guidelines to help estimate your filter needs. Home Environments: The chart below shows the number of filters typically needed for most rooms within homes. You can use this chart to help estimate the number of filters you may need for your home. Please keep in mind that these are estimates and provide a good starting place for thinking about the number of filters you will need. If you would like help determining your filter needs, please contact us at [email protected] or 1-800-506-6098. The price charged per filter will depend on the total number of filters ordered. The effectiveness of the filters can be measured using Greenwave’s Broadband EMI Meter. Simply plug the meter into electrical outlets to measure the amount of dirty electricity on nearby wiring before and after installing filters. The meter is also an excellent tool for guiding the installation of Greenwave filters. It can help you identify significant sources of dirty electricity in your environment and determine the best number of filters to install in each room for optimal results. If you are not completely satisfied with Greenwave filters, you may return them to Greenwave International within 60 days of purchase for a refund or credit. A 5% restocking fee may be imposed for returns, unless the return is due to a manufacturer defect in the product or a shipping error. For detailed information about Greenwave’s return policy and filter disclaimer, refer to our terms and conditions.